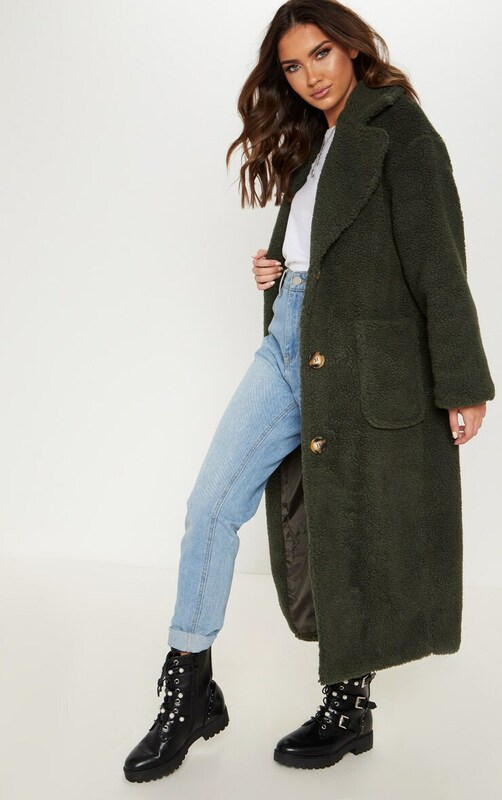 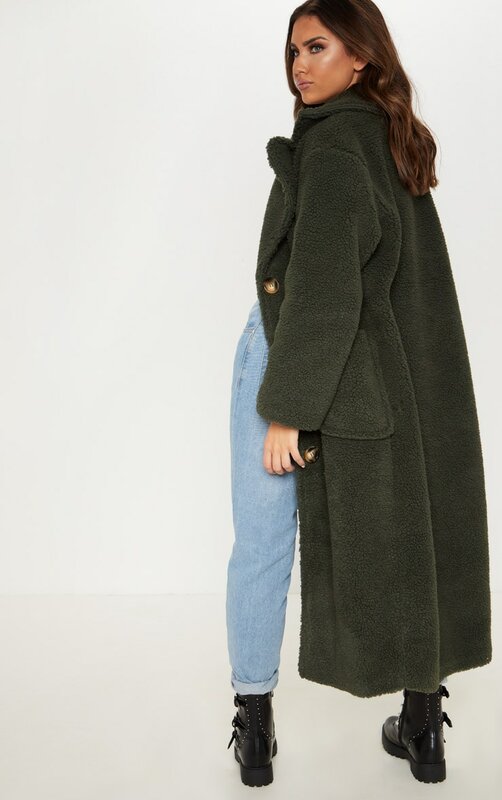 We are obsessing over this longline coat girl. 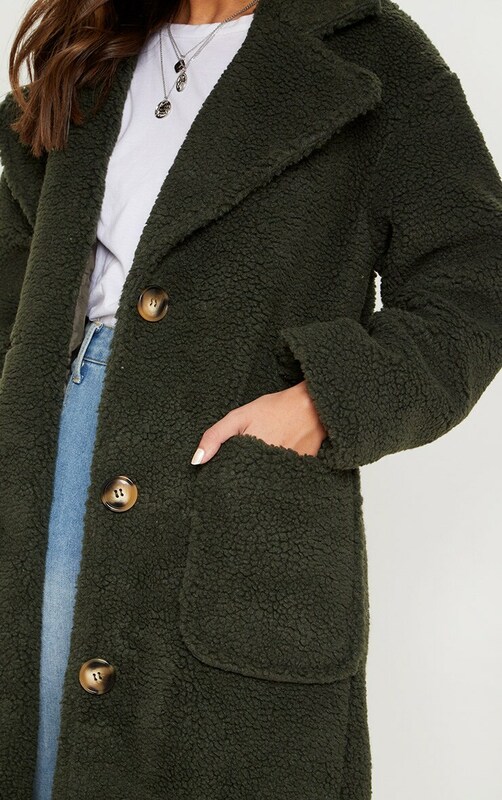 Featuring a green borg material with a pocket detail and a button fastening. 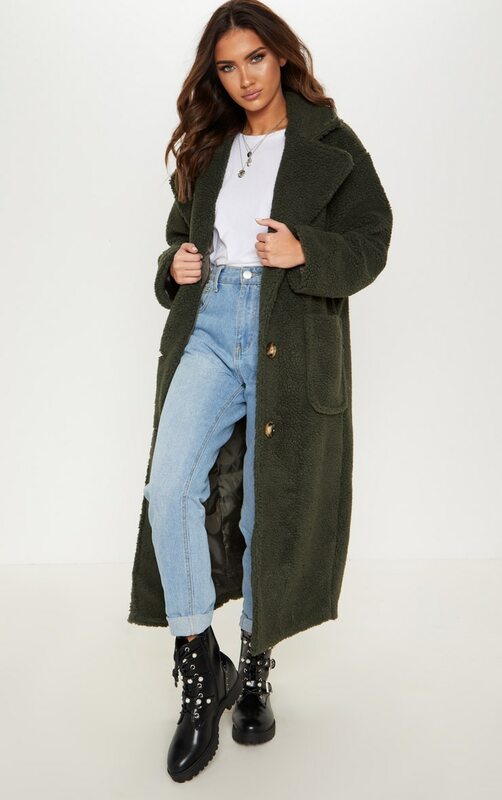 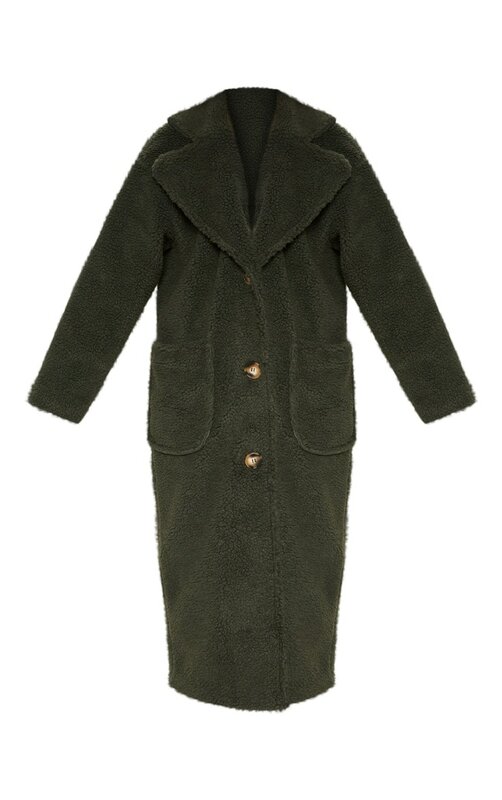 Style this coat with any outfit for a look we are loving.